The Bluegrass State’s poverty rate of 18.8% is a lot higher than the national average of 12.7%. In fact, Kentucky’s poverty rate is fourth worst in the nation, which means that more than 800,000 Kentucky residents live at or below the poverty line. For people living week-to-week, payday and title loans can often seem like a quick fix, a way to get by in between paychecks. But the sad reality is that borrowers who take out payday and title loans often end up paying way too much money for this temporary financial solution. Many borrowers who take out short-term loans end up paying long-term consequences. These loans are a high-risk and low-reward option for borrowers. You need to make sure you know all the facts before you take out either a payday or title loan in Kentucky. Otherwise, you may fall into a cycle of debt that could take months, or even years, to get out of. A payday loan is a small cash loan, typically for under $500, that uses the promise of a borrower’s next paycheck as collateral. These kinds of loans are often the only option for consumers with bad credit, as they cannot access more traditional lines of financing, such as credit cards or bank loans. There are 578 payday lenders in Kentucky, which means there are more places to take out a payday loan than there are McDonald’s restaurants in the state. The maximum amount a payday loan in Kentucky is legally allowed to be is $500. 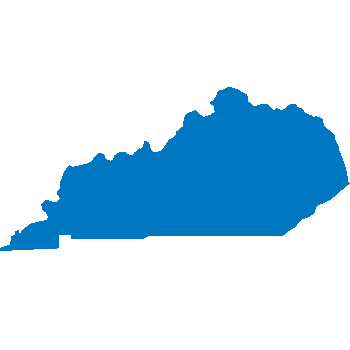 Kentucky payday loan borrowers can take out a maximum of two payday loans at the same time, but the total amount is not allowed to be over $500. Each loan lasts from 14-60 days, and a $15 fee is charged for each $100 that is borrowed. If you borrow $100 and pay it back in 14 days, then you will effectively be paying 459% interest on the loan. Payday loans in Kentucky are regulated by statute Chapter 286.9-100, which regulates the maximum loan amount, how long it lasts, and the interest rate and loan fees. The current laws were put on the books in 1998. The current fee is $15 per $100 borrowed, with a limit of $500. Although borrowers may have two payday loans at the same time, the total of the loans may not be greater than $500. However, for a long time there was no way for a lender to make sure a borrower was not taking out more loans than the law allowed for. That changed in 2010, when Kentucky launched a statewide payday lending database. The Kentucky Deferred Presentment Transaction Database was created by the Kentucky Legislature in 2009, and it makes sure that no one is able to borrow more than $500 at a time. Immediately after the database went online, the number of payday loans drastically declined. “The first month the database went into effect, over 40 percent of loan applications were denied, and issued loans dropped 24 percent over the first six months,” wrote Tres Watson in the Lexington Herald Leader. Payday loans can be a debt trap for Kentucky residents. Borrowers must pay $15 for every $100 they borrow. In a single year, the average payday loan borrower in Kentucky “takes out 10.6 loans and is indebted over 200 days a year. Over 95 percent of all payday loans in Kentucky go to customers that take out 4 or more loans per year,” according to the Kentucky Center for Economic Policy. If you are desperate enough to take out a payday loan in Kentucky, first make sure the lender is licensed. Title loans are short-term loans that work a little differently than payday loans. Instead of using your next paycheck as collateral, as you would to take out a payday loan, in order to get a title loan, you must offer up your car as collateral. In Kentucky, fees are not allowed to be charged on top of the interest charged for a title loan, and title lenders are regulated by Kentucky statute Chapter 286.10. In Kentucky, title loans are less common than payday loans, due to interest rate regulations. The maximum title loan is $15,000, but the interest rate changes for loans that are $3,000 or more. Loans greater than $3,000 are limited to a 2% APR per month, which comes out to 24% a year. Loans that are $3,000 or less can be charged 3% APR per month. These interest rates are regulated by statute Chapter 286.4-530. Title loans are very risky. About 20% of people who take out a title loan end up having their vehicle taken away and sold to pay off the loan. Quick Fact: If your car is taken away due to not paying a title loan, the lender must hold it for at least 20 days before selling it. Due to the harsh state limits on fees and interest rates, title loans are not as prevalent in Kentucky as are payday loans. 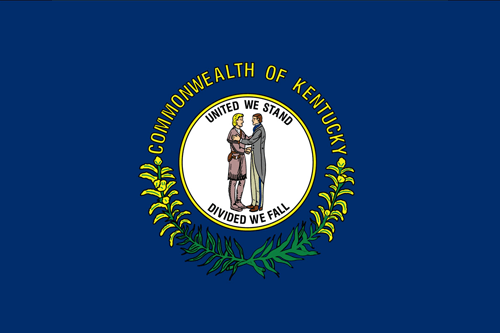 In Kentucky state law, title loans are referred to as “title pledge” loans. In Kentucky, auto loan lenders do not have to be licensed, though they are supposed to only give loans for newly purchased vehicles. According to law firm Craig Henry PLC, at least one exploitative lender has tried to get around state law by treating a title loan as an auto loan. In 2015, a Kentuckian allegedly took out a $1,000 loan from an unlicensed auto lender to buy Christmas gifts. Their car – valued at over $20,000 – was used as collateral. After missing a payment, the car was repossessed and sold. Unlike the $15 per $100 borrowed fee that is charged for payday loans, title loans are not subject to fees in Kentucky, and the interest that is allowed to be charged is also limited. For loans $3,000 and below, a monthly rate of 3% can be charged. For loans over $3,000, the monthly fee is set at 2%. Title lenders must display their license at their place of business, and you can make sure this license is valid by checking online. At 3%, the monthly interest rates on title loans may seem low in comparison to that of Kentucky payday loans. But borrowers should stay away from loans that use their car as collateral. Under Kentucky law, borrowers who miss payments can lose their car, which can mean serious trouble for anyone who relies on their vehicle to get to work, buy groceries, or even pick their kids up from school. In the long run, losing your vehicle could mean losing your job; that’s just too much risk for a short-term loan. Although all lenders in Kentucky must be licensed, payday lenders are legally allowed to charge effective interest rates as high as 459%. Title loans are better, with a maximum yearly interest rate of 36%, but if a borrower misses a payment, their car can be taken away and sold. If you know of a lender who is not following Kentucky state regulations, you should notify the authorities through the links below. Additionally, the laws around payday and title lending in Kentucky could definitely be more favorable to borrowers. You can help solve that by making sure your voice is heard by contacting your local representatives and letting them know what you think about unfair lending practices. Short-term borrowers are very vulnerable in Kentucky, and the laws seem to be written to help lenders more than borrowers. Payday lenders charge a $15 fee for every $100 borrowed, and that’s before an interest rate is added on. Title loans are a little better, with a maximum monthly interest rate of 3%, which comes out to a 36% yearly interest rate. However, title loans can be rolled over up to three times. It is unlikely that any borrower who needs to rollover their loan will suddenly have the money to pay off the loan. Keep in mind that if you fail to make a payment, then you may lose your car. If you have been subject to an unlawful lender, contact the Kentucky Department of Financial Institutions and also your local representatives.